One of the most depressing things about having credit card debt is the fact that the high interest rate can mean that most of your monthly payment (if you carry a balance) goes to paying interest, rather than reducing your principal. 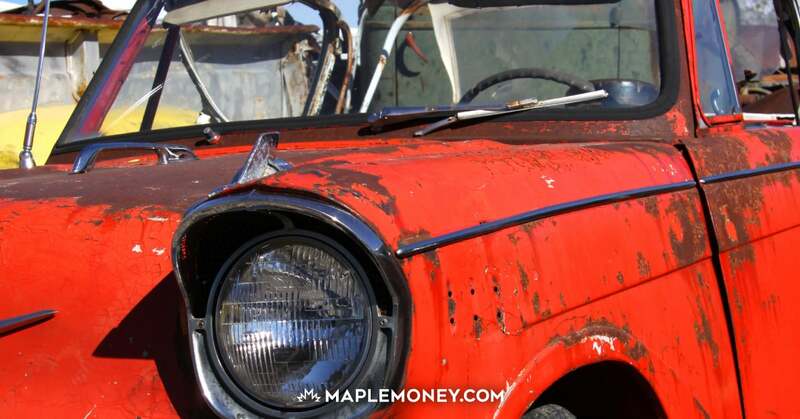 This can mean a long, slow slog as you try to pay off debt. However, you might not have to keep paying that interest rate. 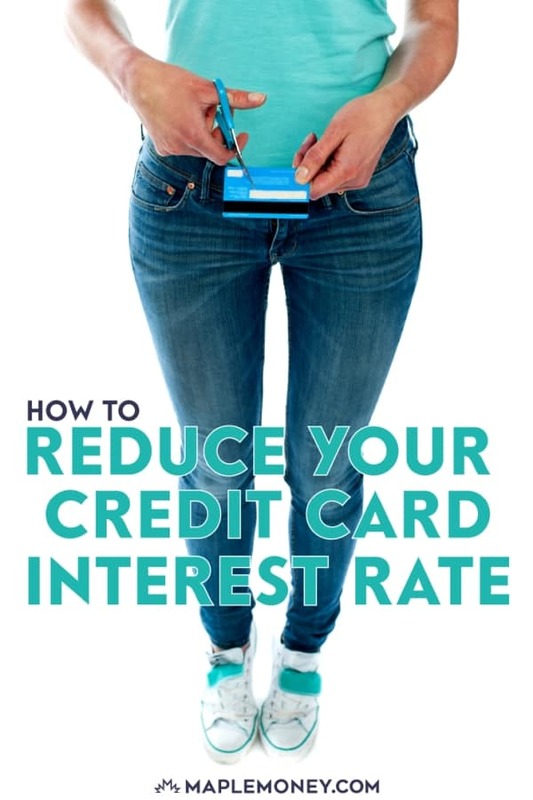 In some cases it’s possible for you to reduce your credit card interest rate… just by asking. Is your credit card interest rate 18% or higher? Call the number on the back of your card, tell them you have seen lower rates and chances are that you can get them to lower it. It’s not always that simple, of course, but it’s a start. Call and ask to speak to someone about your interest rate. In some cases, representatives are allowed to drop your interest rate by as much as 3% in order to retain you as a customer. If the first representative can’t help you, ask for someone who can help you lower your interest rate. Your best leverage during the is if you have a recent offer in the mail with a low introductory rate of 0%-10%. Many credit card issuers are willing to drop your rate if there is the chance that you will take all of your money elsewhere. They’d rather have you pay some interest than ditch them and pay no interest at all. If you don’t have a recent offer, check out the best current offers on low interest credit cards and balance transfer credit cards. Anytime you can offer a concrete possibility for switching to someone else, you have a bit of leverage during the phone call. If you have been paying your minimum payment on time and they consider you a good customer, they will likely be willing to work with you to negotiate a lower rate. If, even after you have mentioned that you will switch your business, and they still refuse to lower your rate, remain polite and make ready to transfer your balance. Be polite: Don’t get rude. Remain polite and calm throughout. Ask for what you want: Be straightforward about how you want a rate reduction. Be clear that is what you want, and ask the representative to connect you with someone who has the authority to make it happen. Be prepared: You can create a script, or jot down some talking points. Also, be prepared to carry through on your threat to transfer your balance elsewhere. If you phone your credit card company and get your rate lowered, please leave a comment and let us know what your rate was and what it’s at now! Great tip! I suggest you ask directly for supervisor as the rep’s generally wont do it and it will save you some time. This is great advice I recommend actually finding an offer first there are plenty of companies offering a good introductory rate but just make sure you take note of what the interest rate and balance transfer rate is afterwards because you may get tied into an expensive contract. I currently have a no-fee RBC Visa Gold Rewards card. Interest rate is at 19.99%. The benefits of this card are the rental vehicle insurance coverage, as well as the RBC rewards points which I then put towards an additional payment on my line of credit. I called and was told I would have to switch to a low interest card (11.9%), and that I could not get a better rate with my current card. Does anyone know of other banks out there offering better rates for similar cards? I am in the same boat, did you find out anything different?? The RBC reps were very polite and helpful towards the 11.9% low interest card, but very unwilling to go beyond that! I am a former bank employee having worked with 2 of the big 5 here in Canada. I have an MBNA Rewards Mastercard that I had a balance on and a rate of 19.99%. I called MBNA and negotiated a rate of 11.99% and I still get the rewards. I shortly after I received an intro offer in the mail from Capital One and threatened to take my debt to them. I currently have no balance on the card anymore as I was able to quickly pay it down with the lower rate, I still received rewards the entire time and there is no fee. A total win-win if you ask me! that’s really the best you can get as far as my experience with this issue, I have the same and the cash advance rate is the same at 11.9%. However, the worst one is Walmart Mastercd and Amazon Visa approving me at the check out and then getting charged 19.89% for purchases, 21.49% for cash advances, even when paid back plus 4.00 for each cash I called and asked but no one will help me there. I explained I’m now on permanent disability and needed help for debt reduction. Very rude people there. I’m in Canada and was told every institution has to reduce interest or provide a lower interest unless that is what you currently have. Had no problem with Royal Bank Visa but Master Cd (Walmart cd) won’t budge nor Amazon Visa. I cut them up and only make min pymt but will take about 11yrs or more at that pace to pay it all. They did lower my balance protector premium due to my disabilities, how nice of Mastercard! I don’t have the room to transfer both and it must be pd off by a certain date too. So if you can get down to 11/12% that’s great in this economy. Good luck everyone cause each case is different and so are their moods. somme are lucky and others like me aren’t. Everyone was offering me cds while I was working, now I dont get a break for always being a good customer, never late or I pd the balances off. Your suggestion to ask for a reduction in lending rates is very good. Of all the card holders agree to this if the interest of credit card debt they pay is very burdensome, especially for those with low incomes. Thank you. Go to any Leon’s Furniture store & apply for a Leon’s account thru Desjardins. Desjardins will then send you a Visa card with an interest rate of 14.9% with no annual fee. The only downside is that Desjardins tend to be BASTARDS to deal with. Bon apetit! They also do balance transfers. Unfortunately, I had no luck. I currently have a Guaranteed Secure Mastercard from Capital one which I pay 19.98 interest and $59 annual fee. I called and informed the rep that I was interested in lowering my interest rate so she transferred me to another department and spoke with an agent who she claimed was a supervisor. I currently carry a balance, and last year my limit was increased. I always pay more than my minimum balance and have never been late. I’ve also had the card since April 2010. The agent told me that capital one reviews accounts 2 times a year and that is the ONLY time that changes can be made. My review was just up and she told me that they have upgraded my account to Capital One Gold Unsecured so they would be sending me a new card and also refunding me for my security deposit but the interest and annual fee wouldn’t change. I told the rep that I was thinking of transferring a balance and closing the account but it really didn’t do anything… she just kept saying that reviews are done 2 times a year and maybe next year I would get an offer to change the interest rate. I have a Capital One Mastercard too though I no longer use it & plan on closing my account soon. The representatives told me that they only do a review *once* a year (not twice as you were told). My year was up in February & they *still* haven’t got around to reviewing my account. I called in March to ask & they said that I was “on the list” to be reviewed but there was nothing they could do to speed up the process. So, I got fed up with them & I got a new Mastercard from BMO with Air Miles rewards instead. Too bad for Capital One – they could have made a lot more money off me if they didn’t have such ridiculous policies. that if you can’t pay off your credit cards monthly. I agree. It’s easy to get trapped by credit card debt easily. I have my own experience with when I was convincing myself that I could handle debt easily and suddenly it grew over my head. Now fighting back repaying it, but it is hard. Just got a notice from my Visa Desjarden Card. They are increasing my interest from 9.9% to 10.9 %. Called and asked why…they said it was still one of the lowest interest rates in Canada! Would not budge. Right now I have a zero balance and paid my bill on time. This is how they reward their good customers! I just tried but it didn’t work…. I just called MBNA to reduce my cc interest from 27.99% and I was told that they cannot do that any more. They used to be able to reduce interest rates in the past but nothing can be done now. Can anyone help me ? What can I do? I really want to pay this card off sooner. Save yourself 30 min of life when it comes to Capital One Mastercard. Ibe been a customer with flawless credit since 2011. They refuse to lower interest rate peiod and suggested i go to a bank if i want better interest rates. Escalated tto 3 diff people.